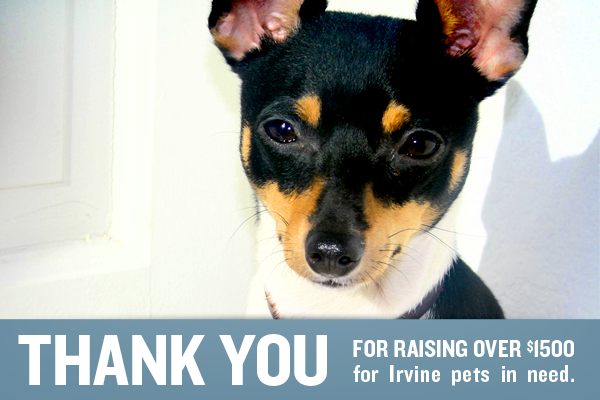 In 2012, Stanbridge College staff raised over $1,500 to donate to the Irvine Pet Complex’s annual holiday charity donation drive for the benefit of the Irvine Animal Care Center (IACC) and its care for homeless, neglected and abused animals. Students, staff and faculty also collected pet food, leashes, blankets, towels, snacks, beds, toys and more for the IACC in a two-week long donation drive in December. 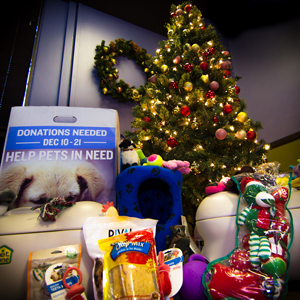 Students, staff and faculty also collected pet food, kennel supplies and toys for the Irvine Animal Care Center in December of 2012. The Irvine Pet Complex is a veterinary practice in Irvine, California. Through its community outreach, the Irvine Pet Complex is involved in the care and treatment of many stray animals that have been placed in loving homes throughout the Irvine Area. The Irvine Animal Care Center (IACC) is a progressive and innovative municipal animal shelter that continually strives to strengthen the human-animal bond and improve the welfare of animals by promoting their humane care and treatment. In December of 2012, the IACC has assisted in over 239 animal adoptions and rescues. This is the second time in which Stanbridge College REACH partnered with the Irvine Pet Complex to raise funds and donations animal care. In the past, Stanbridge REACH has volunteered time and collected donations for both the Irvine Animal Care Center and Orange County Animal Care Center. Animal Care Center volunteers support Center staff in implementing the mission, vision and programs of the Animal Care Center. Volunteers assist staff with a variety of tasks, including socializing adoptable animals, cleaning, assisting the public and upholding the Center’s basic care standards. Areas of volunteer service include dogs, cats and rabbits. To learn more about the Irvine Animal Care Center and how you can help homeless pets in your community, please visit: http://www.cityofirvine.org/cityhall/cs/animalcare/default.asp.